These earrings are made from the hearts that are cut from the bowls of the antique sterling silver teaspoons used to create other pieces in this collection. 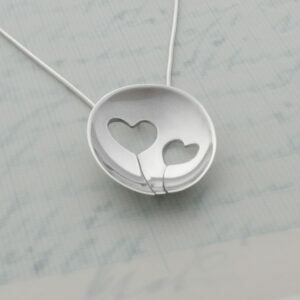 Nothing goes to waste in the Milomade studio! 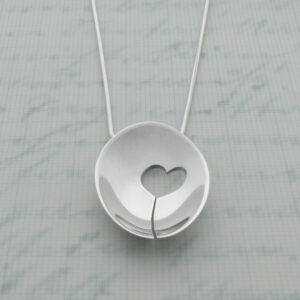 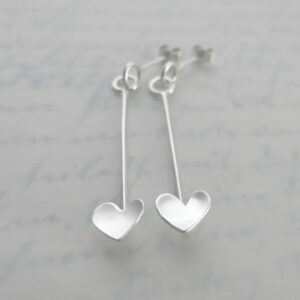 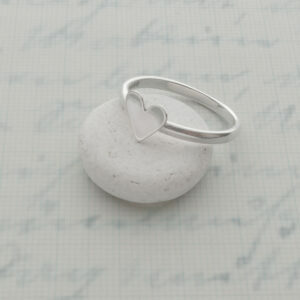 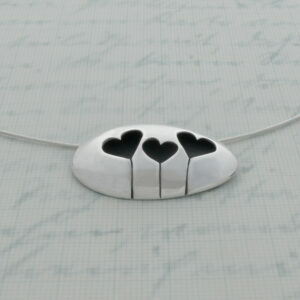 Each pair of hearts have been hand cut with a delicate jewellers saw, ensuring individuality even within a pair. 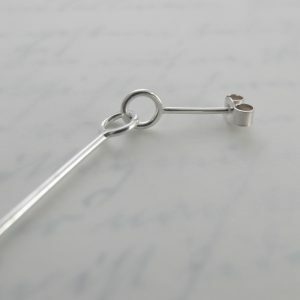 They are soldered onto long pieces of silver wire with a tiny hoop at the top that allows them to dangle freely from a hooped earring post. Each earring is finished off with a sterling silver ear post and scroll clasp. 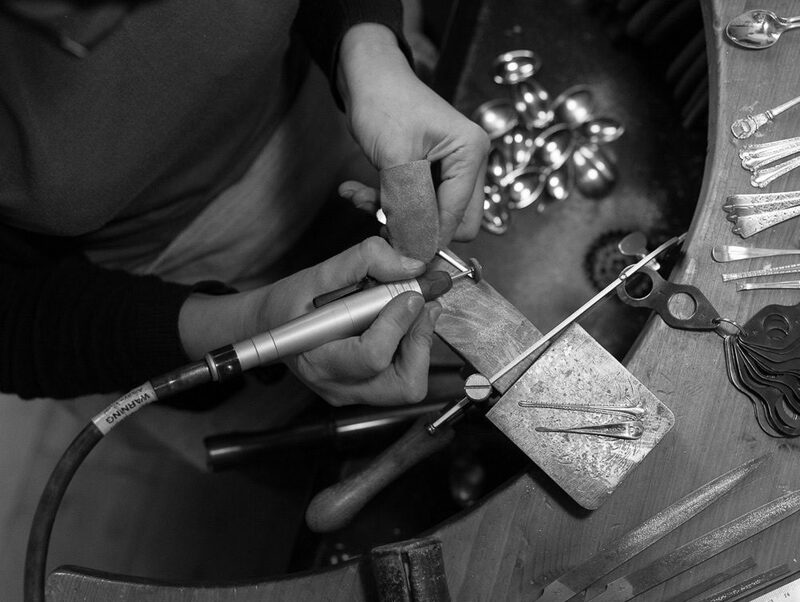 The photographs show an example of what you will receive – as each earring is handmade, the ones you receive will differ from the ones photographed.